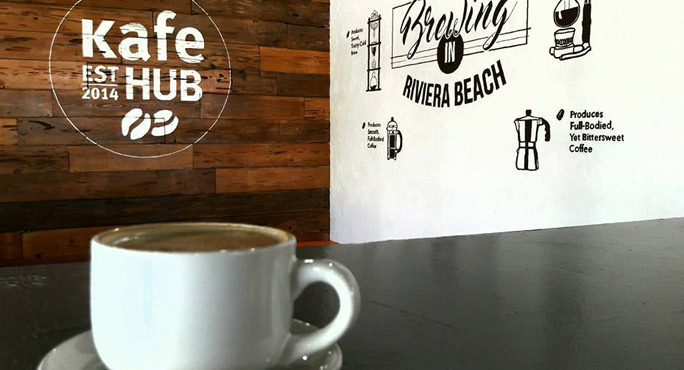 Kafe Hub is located at 1939 Broadway Ave, Riviera Beach, Florida. 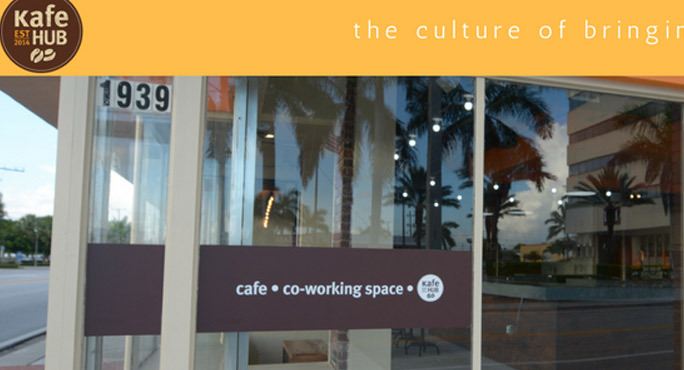 It is a great coffee shop that provides a great work space and offers breakfast and brunch. 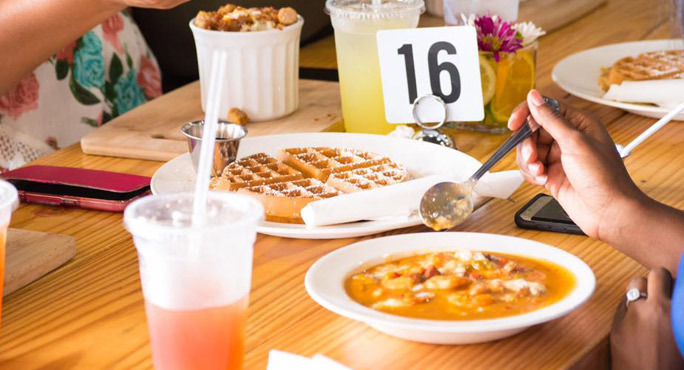 Diverse menu of Kafe Hub includes: 4 Mini Waffles (Plain), Ghirardelli Chocolate Chip, Hawaiian Flatbread, Curry Shrimp Flatbread, Curry Chicken Flatbread, Caribbean Jerk Chicken Flatbread, Breakfast Flatbread (Before 11am), Sweet Onion, Biscuit Bowl, Grits Bowl, Potato Bowl, Grilled 3 Cheese, Tuna Melt, Caribbean Jerk Chicken Panini, Turkey Brie, LATTE, LOOSE LEAF TEA, SMOOTHIES, Green Tea Tropical, Wild Berry Hibiscus, Vanilla Bean, English Breakfast, Apple Juice, Cranberry Juice, Orange Juice, Coconut Water and beer. The cafe is good for birthday parties, work meetings, and get-together. Please visit the restaurant with your family and friends and enjoy the amazing ambiance. 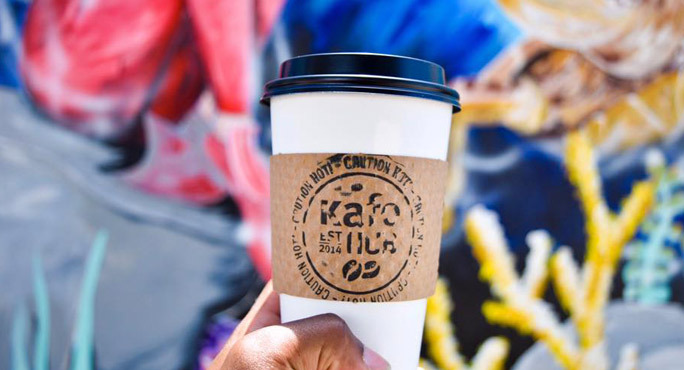 Kafe Hub is located at 1939 Broadway Avenue. Riviera Beach, Florida US. 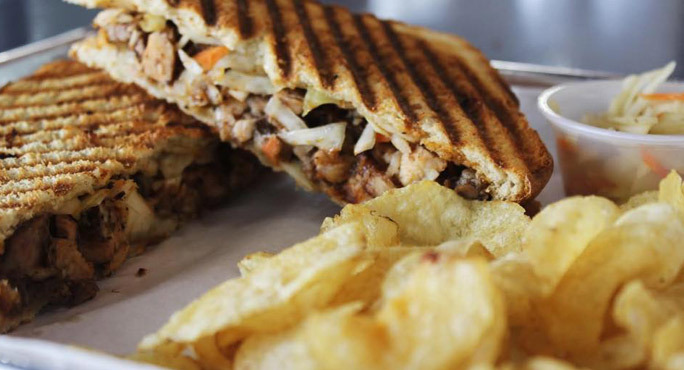 Kafe Hub is a Cafe type of establishment offering authentic US food. Come on by or give us a call during business hours if you have questions (561) 557-8704. This site for Kafe Hub was set up to enhance this client's Internet presence and grow the WebPage Depot online business directory. WebPage Depot is designed for local directories and a thorough business directory. This free business listing site provides a fully functional website. The WebPage Depot site marries seven social media accounts (if available), google maps, large pictures, a contact us page (protecting the client's email address), a link to the client's original website and relevant Youtube videos. Additionally, we write an original text Welcome Message. WebPage Depot does make some assumptions, trustingly, for the benefit of the client. We write everything from a positive angle. Our goal is to advance the visibility/ranking on this site to the highest level possible. Improvements to ranking come with additional relevant content. To continue this effort, we will need content from the client, i.e., menus/list of services, specials, current pictures and videos and additional text for the Welcome Message.